Drive down any major street in San Diego and you will undoubtedly see signs on buildings that simply state tenants’ names. Whether a two-story headquarters or a 20-story office building , applying a company’s name to the side of a building is a popular use of otherwise empty space and is an excellent way for companies to use their real estate holdings to stretch their marking budget. When it comes to which tenants should have signage, the best advice is: If you are big enough to have it, get it. 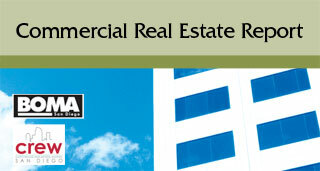 In today’s difficult economic times and challenging real estate markets for both residential and commercial real estate throughout the country, it is important for management companies and owners of multifamily and commercial real estate to look for ways to trim expenses, maintain cash flow and survive until the markets can improve. Flocke & Avoyer Commercial Real Estate is pleased to announce Rick Puttkammer, CCIM, has joined its retail team as senior vice president, specializing in retail brokerage including leasing, sales, tenant representation and investments. Roberts Bennett Norton, also to be known as RBNDesign, formerly Roberts & Bennett, is a local commercial interior design firm established in 1980. Jennifer Roberts and Tina Bennett acquired the company in 1999 and on Jan. 1, Tara Norton became the third partner and principal forming Roberts Bennett Norton. Consumer confidence has been inching up, giving a small boost to retail sales, but until the unemployment rate drops significantly, San Diegans, along with their counterparts nationwide, are likely to continue scaling back their retail spending. Coldwell Banker Commercial Almar Group overcame adverse market conditions in 2010 to significantly outperform the overall market in land sales, leasing activity and in the overall number of transactions for 2010. While the commercial real estate market continues to struggle, more real estate professionals are considering strengthening their resumes by pursuing graduate school so they can be better positioned when the economy recovers. Admissions counselors at the University of San Diego’s Burnham-Moores Center for Real Estate, which offers a Master of Science in real estate degree, say that numbers are up for fall 2011 applications, and apparently not despite current economic woes, but because of them. When the commercial real estate development association NAIOP San Diego launched its Developing Leaders (DL) program, it was heady times for real estate. Many were attracted to the profession, and the NAIOP board saw a chance to help younger members just getting started in their commercial real estate careers by giving them access to resources and the wisdom of more seasoned members of the association. With women outpacing men in many professions, why is it that Wendy Lanahan, director of real estate for Qualcomm (Nasdaq: QCOM), is often the only woman in a room when she attends a business meeting? In the last decade, women have broken down the barriers in male dominated areas such as medicine and law to make the playing field more level. Yet why is the commercial real estate field still so tilted in the male direction? The University of San Diego’s Burnham-Moores Center for Real Estate has published the next phase in its multiyear national study of commercial office building tenants in green and non-green buildings. The first phase of the study looked at the difference in rents between tenants in green and non-green buildings. The new phase, which was recently presented at GreenBuild 2010, focuses on the attitudes toward sustainability among commercial building tenants. San Diego County's retail market was basically flat during the fourth quarter as landlords continue to struggle to hold onto their tenants. While office and industrial markets continue to strengthen here, it appears it will be a long time before significant new construction may be justified. Despite a less than stellar economy, the retail market is making a comeback, but the long-term survival of many brick-and-mortar stores appears less certain. A plan to develop a public park in front of Horton Plaza moved forward on Tuesday, and a few more details of the plan were revealed. LOS ANGELES -- Sales of office, retail, industrial and apartment buildings are likely to rise as much as 40 percent in 2011 as the U.S. economy recovers, said Peter Roberts, chief executive officer of the Americas at Jones Lang LaSalle Inc. The commercial real estate market is generally expected to improve in San Diego County this year, but is still far from normal. In the middle of what has been a tumultuous retail market, Bill Thaxton has been an area of calm. Fred Maas’ decision to resign as chairman of Center City Development Corp. (CCDC) in December was easy. 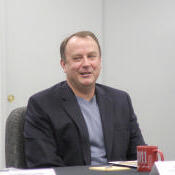 When he took over the helm of CCDC in February 2009 (following Nancy Graham’s resignation amidst conflict-of-interest allegations), he assumed that the interim position would last six weeks. This annual report covers the latest in leasing negotiations, space availability, industry highlights, new projects, top issues and concerns facing today’s commercial real estate industry, as well as projections for the coming year.